All Prices listed DO NOT INCLUDE POSTAGE! EMAIL ME FIRST, tell me where you live, & I'll tell you how much to include for postage. 1st come, is 1st served!! No reservations. US Cash or Money Orders Only! NO CHECKS of any kind! If you want to use Pay Pal, please ASK ME to send you a Pay Pal order/bill request! THANKS! DANZIG "Mother" on PURPLE Vinyl. From 1994. Contains: "Mother '94" & "When Death Had No Name" b/w "Mother live" & "Mother original version". Original. Never been played! 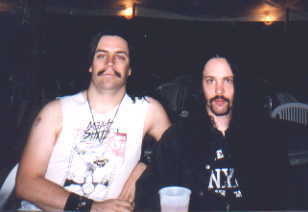 Glenn Danzig and Skeeter 10-19-90 Kalamazoo, MI. 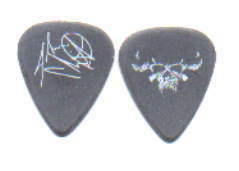 DANZIG Steve Zing Guitar Pick. It's a powder Black pick with White printing on both sides. 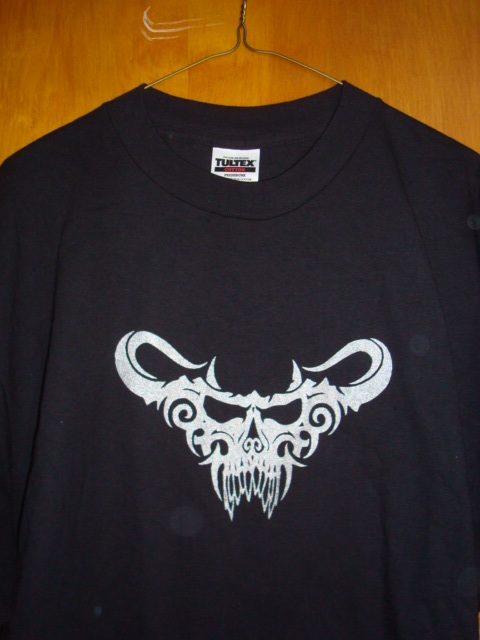 Danzig skull on front & Steve signature on back. From the 2011 Tour! 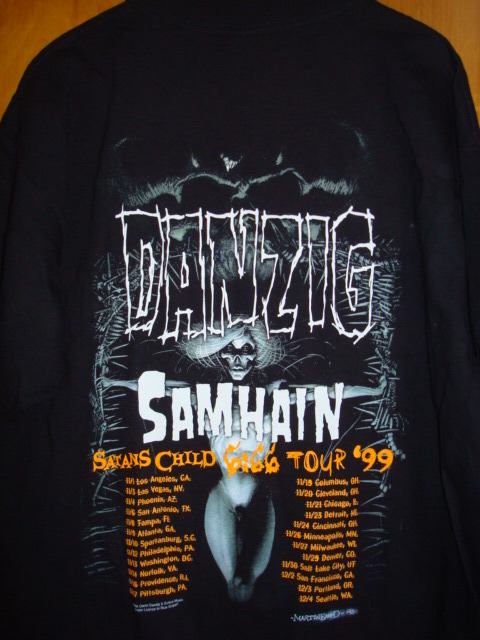 DANZIG / SAMAHAIN 1999 TOUR SHIRT. 2 sided. The real deal. Only sold on tour. 23 Inches Armpit to Armpit - 27 Inches from Collar to Bottom. Gently used excellent condition. Size XL back in the day. Tag is present. Spots are on the camera lense, not the shirt. 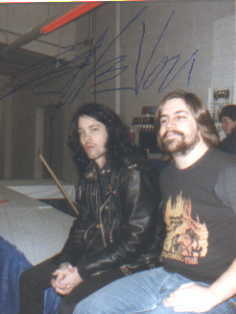 Skeeter & Eerie Von 11-19-88 Grand Rapids, MI. DANZIG never used stick on Satin Backstage Pass #A! Size is 3"x4 & 1/2". From my personal collection. The real thing. 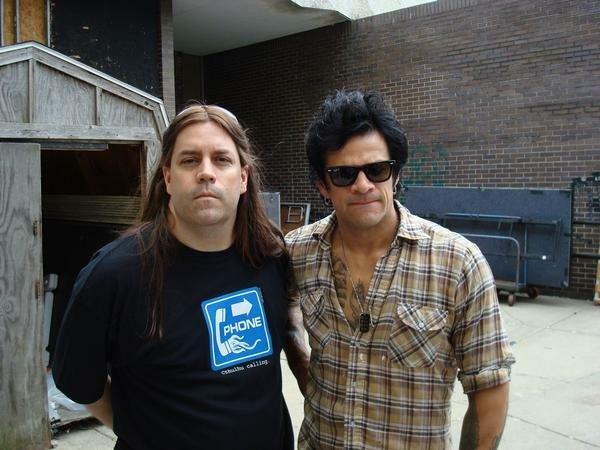 DANZIG never used stick on Satin Backstage Pass #B! Size is 3"x4 & 1/2". From my personal collection. The real thing. DANZIG never used stick on Satin Backstage Pass #C! Size is 3"x4 & 1/2". From my personal collection. The real thing. DANZIG never used stick on Satin Backstage Pass #D! Size is 3"x4 & 1/2". From my personal collection. The real thing. DANZIG never used stick on Satin Backstage Pass #E! Size is 3"x4 & 1/2". From my personal collection. The real thing. DANZIG never used stick on Satin Backstage Pass #F! Size is 3"x4 & 1/2". From my personal collection. The real thing. 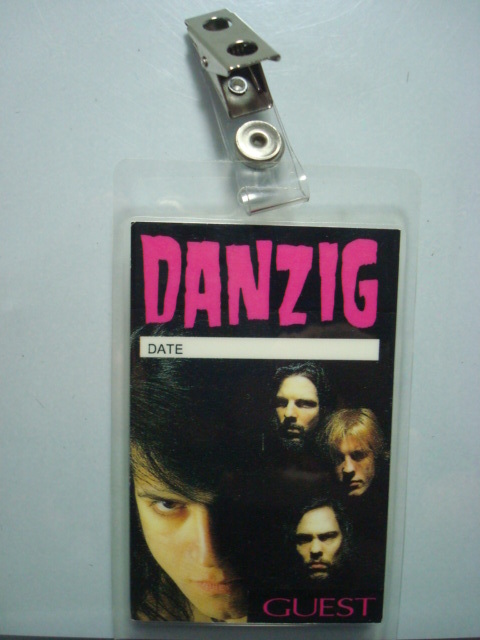 DANZIG never used stick on Satin Backstage Pass #G! Size is 3"x4 & 1/2". From my personal collection. The real thing. DANZIG never used stick on Satin Backstage Pass #H! Size is 3"x4 & 1/2". From my personal collection. The real thing. DANZIG never used stick on Satin Backstage Pass #I! Size is 3"x4 & 1/2". From my personal collection. The real thing. 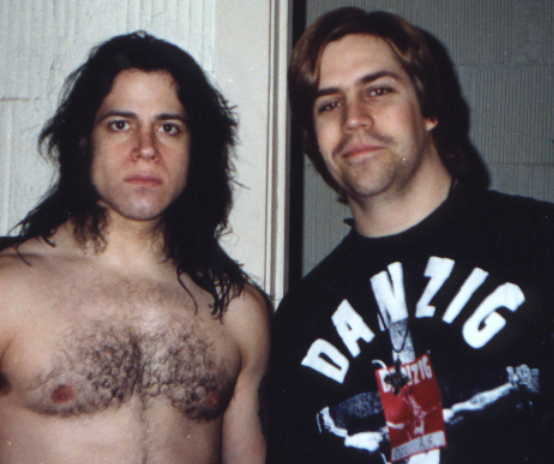 DANZIG never used stick on Satin Backstage Pass #J! Size is 3"x4 & 1/2". From my personal collection. The real thing. 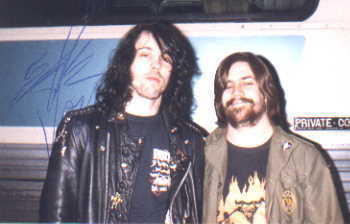 Skeeter & Chuck Biscuits 11-19-88 Grand Rapids, MI. 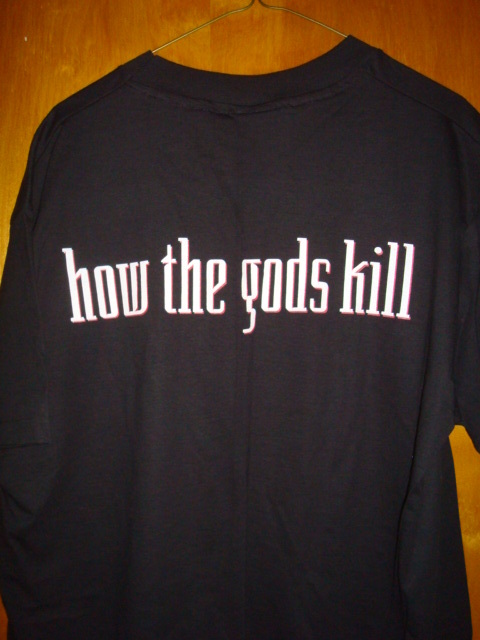 DANZIG 3 How The Gods Kill LONG SLEEVE TOUR SHIRT. 1 sided. The real deal. Only sold on tour. 24 Inches Armpit to Armpit - 28 Inches from Collar to Bottom. NEVER WORN! Size XL back in the day. Tag is present. 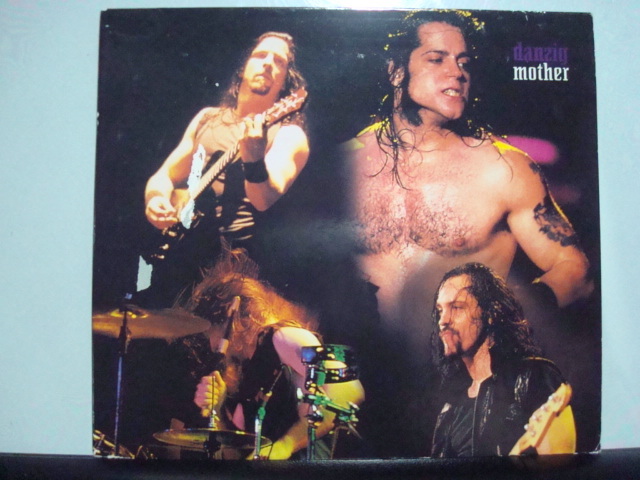 DANZIG "Mother" 2 song PROMOTIONAL CD single. From 1993. Contains: "mother '93 remix" & "mother live version". From USA. Still sealed! 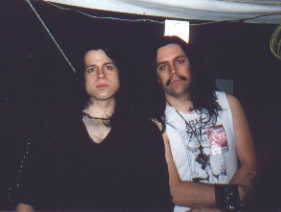 Glenn Danzig and Skeeter 8-2-92 Detroit, MI. GLENN DANZIG "Black Aria" Original Vinyl LP from USA 1992. On Plan 9 label. STILL SEALED! My last sealed copy. DANZIG "Mother EP" CD single. From 1994. Contains: "mother '94", "mother live", "how the gods kill live", & "when death had no name". Gently used. 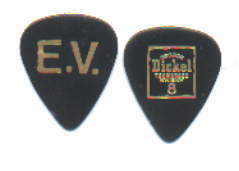 DANZIG Eerie Von Guitar Pick. It's a black pick with gold printing on both sides. Says E.V. & George Dickel Whiskey. 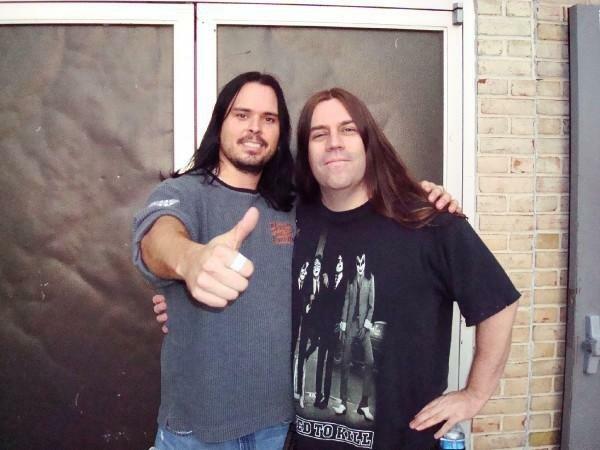 From the '95 Tour! Skeeter & Eerie Von 11-19-88. 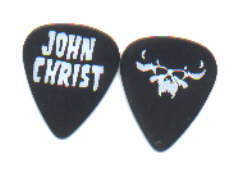 DANZIG John Christ Guitar Pick. It's a black pick (dull) with white printing on both sides. Has his signature & Logo. From the '95 Tour! 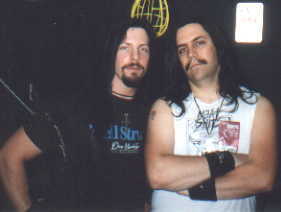 John Christ & Skeeter backstage 8-2-92 Detroit, MI. 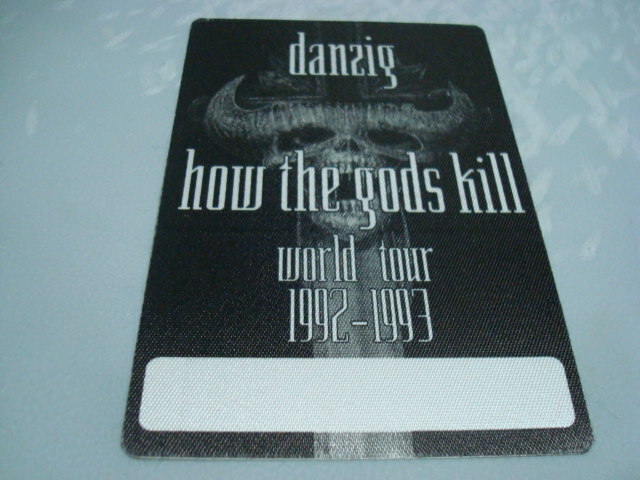 DANZIG "How The Gods Play" live bootleg CD. Contains: "Intro", "Godless", "Left Hand Black", "Snakes Of Christ", "Dirty Black Summer", "How The Gods Kill", "Mother", "Do You Wear The Mark", "She Rides", "Sistinas", "Her Black Wings", "Twist Of Cain", "Evil Thing", "Am I Demon", "When Death Had No Name", "Long Way Back From Hell". Gently used. 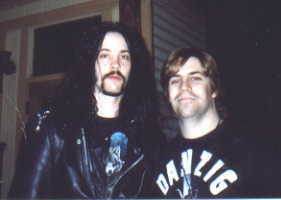 Skeeter backstage with Eerie Von 8-2-92 Pine Knob, Detroit, MI. 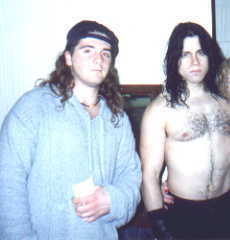 My bass player Dan with Glenn Danzig 10-19-90 Kalamazoo, MI. DANZIG John Christ Guitar Pick. It's a black pick (shiney) with white printing on both sides. Has his signature & Logo. From the '92 Tour! 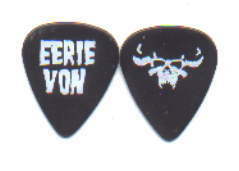 DANZIG Eerie Von Guitar Pick. It's a black pick with white printing on both sides. Skull on 1 side & EERIE VON Printed in spooky text on the other. From the 1988 Tour!!! DANZIG "Thrall Demonsweat Live" Original Picture Disc Vinyl LP. European Import from 1993. Never been played. SUPER Hard to find. DANZIG John Christ Guitar Pick. It's a black pick with white printing on both sides. Skull on 1 side & JOHN CHRIST Printed in spooky text on the other. From the 1988 Tour!!! DANZIG "Back In Black" live bootleg CD from 1992. Contains: "Godless/Left Hand Black", "Snakes Of Christ", "Dirty Black Summer", "How The Gods Kill", "Mother", "Do You Wear The Mark", "She Rides", "Sistinas", "Her Black Wings", "Pain In The World", "Twist Of Cain", "Evil Thing", "Am I Demon", "When Death Had No Name", "Long Way Back From Hell". Gently used. 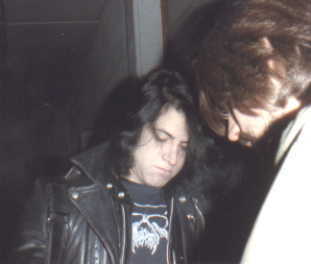 Glenn Danzig signing autographs for Skeeter 11-19-88 in Grand Rapids, MI. GLENN DANZIG "Black Aria" Original Vinyl LP from USA 1992. On Plan 9 label. Open copy. Never played. It was AUTOGRAPHED by Glenn Danzig in 1992 on the front cover in black marker! Glenn smudged the signature a little. 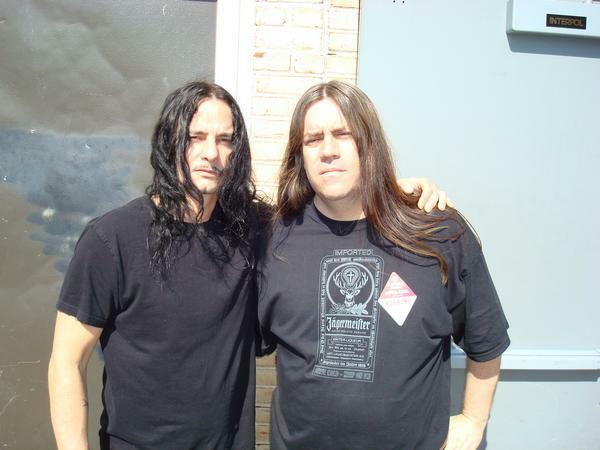 DANZIG Thrall / How The Gods Kill TOUR SHIRT. 2 sided. The real deal. Only sold on tour. 22 Inches Armpit to Armpit - 27 Inches from Collar to Bottom. Gently used excellent condition. Size XL back in the day. Tag is missing. 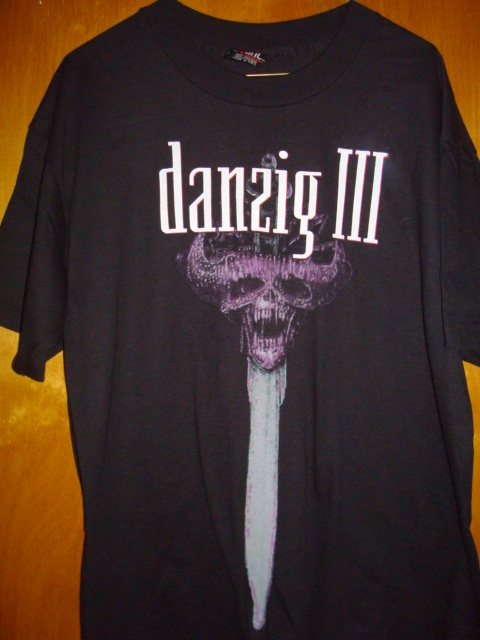 DANZIG 3 / How The Gods Kill TOUR SHIRT. 2 sided. The real deal. Only sold on tour. 22 Inches Armpit to Armpit - 27 Inches from Collar to Bottom. Gently used excellent condition. Size XL back in the day. Tag is present. 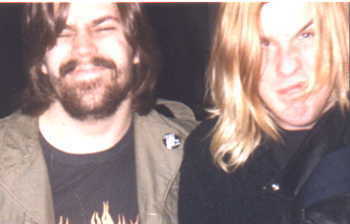 Skeeter & Eerie Von in Kalamazoo, MI 10-19-90. 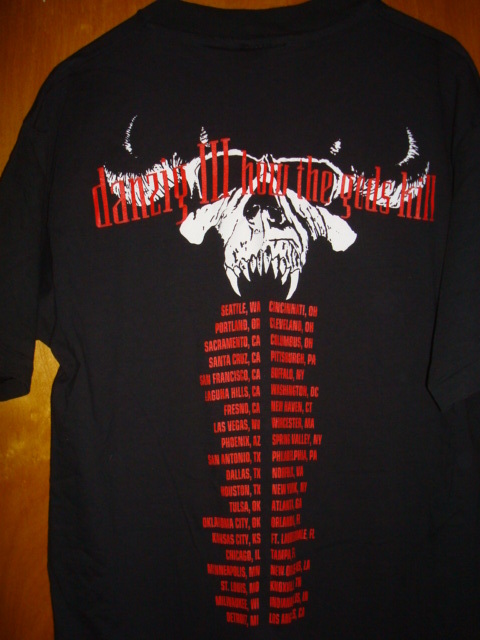 DANZIG 3 How The Gods Kill / Dirty Black Summer "Group" TOUR SHIRT. 2 sided. The real deal. Only sold on tour. 22 Inches Armpit to Armpit - 27 Inches from Collar to Bottom. Gently used excellent condition. Size XL back in the day. Tag is present. 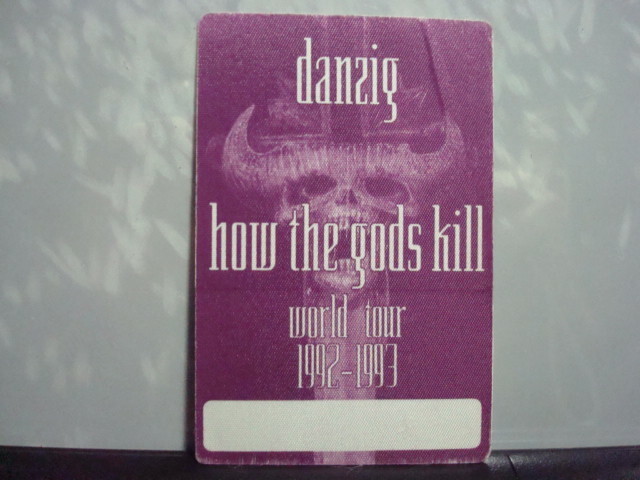 DANZIG Laminated Backstage Tour Pass #B! From my personal collection. The real thing. 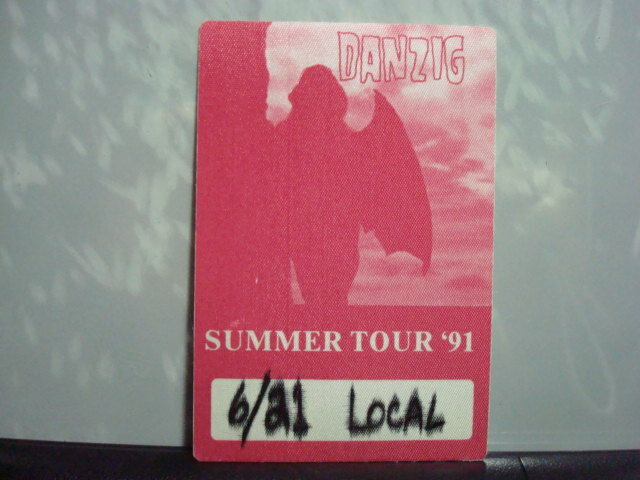 DANZIG Laminated Backstage Tour Pass #C! From my personal collection. The real thing. click below for other MERCHANDISE I sell!